Accessory designer Ambar Pariddi Sahai found her calling in accessory design while studying at the National Institute of Fashion Technology (NIFT), New Delhi. We explored her inspirational story in this interview, from the travails of first-generation jewellership to how she named her label. At NIFT, you trained in fashion design and clothing technology. What made you shift to accessory design? I felt my heart lay more in accessory design. The three-dimensionality of accessory design fascinated me, and I felt I was cut out for that. Your label, Mine of Design, is a first-generation jewellery business. What led you to establish your own outlet? I come from a business family, so there was always an urge to do my own business. In the initial years I worked on different projects with different companies to understand the discipline of design. And then I thought I should have something to call mine — “mine” as in “my own” and also as a place where my dream designs are painstakingly brought out to shine forth. What obstacles did you face in setting up Mine of Design? The startup itself was the major roadblock. Being a woman, having your own business is not easy. Kaarigars do not take you very seriously. I did not have a jewellery background, so to get the sources in place, the vendors, contacts of places to source materials — all this required huge effort. What advice would you have for a budding woman entrepreneur? Be honest. It pays off. In this industry everything works on word-of-mouth, whether it is getting customers to visit your store or kaarigars to work with you. Trust is what you build over time. Younger entrepreneurs tend to seek quick gains, which is important in this competitive world, but work ethics should never be compromised. 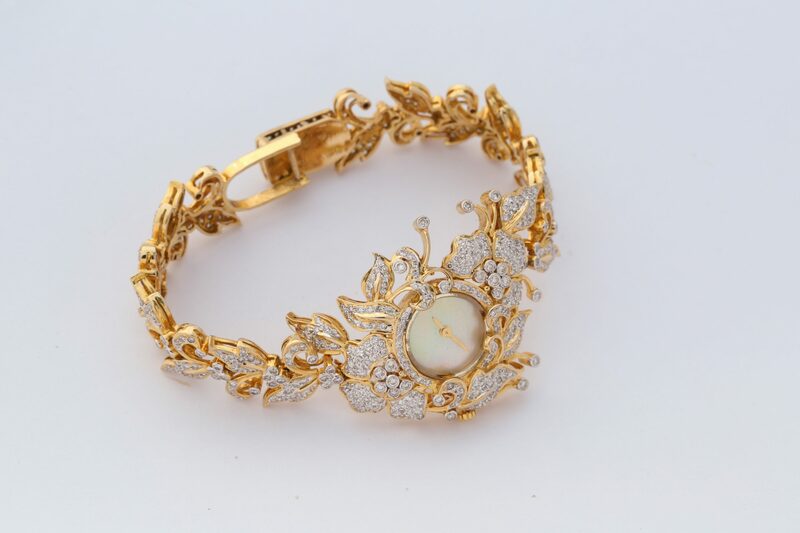 You have greatly influenced how Indian jewellery is worn today. How did you come to think about contemporising traditional designs? I feel it’s all about going back, acknowledging that life is a cycle. India is known for its rich design aesthetic. That’s where my collection titled Mother to Daughter came in, with the basic idea of reusing heritage jewellery. I love the challenge of remodelling and reinventing old designs. You have exhibited your work internationally a number of times, as well as in India. What can the Indian industry do to move closer to international standards? What we need to have is originality, that’s what people don’t fully realise. 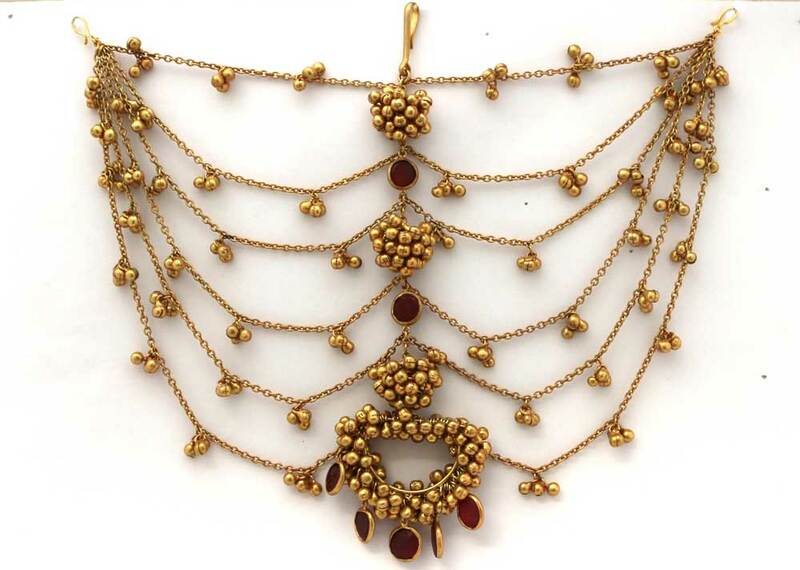 Generally when Indian jewellers travel abroad, they carry jewellery designs to which a particular market is already receptive — which is a very safe bet. The trick is to adapt your design aesthetic to that market. That’s when the result actually approaches international standards. It is very instinct-based. I read a lot on trends that are gaining an edge over others, and mould them according to my own sensibilities. Please tell us about any new collections that you are developing. I am interested in giving a contemporary touch to Indian craft. I am developing traditional jadau in contemporary designs.